Process potatos by squeezing the handles together to make perfect mashed potato effortlessly. Ricer mainly used for mashing potatoes and other vegetables. It squeezes the contents throughthe hopper. 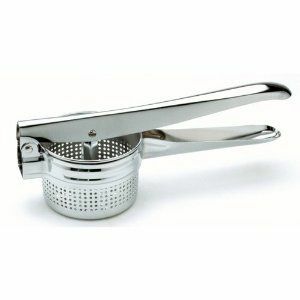 Long lasting stainless steel makes these ricers great kichen tools.